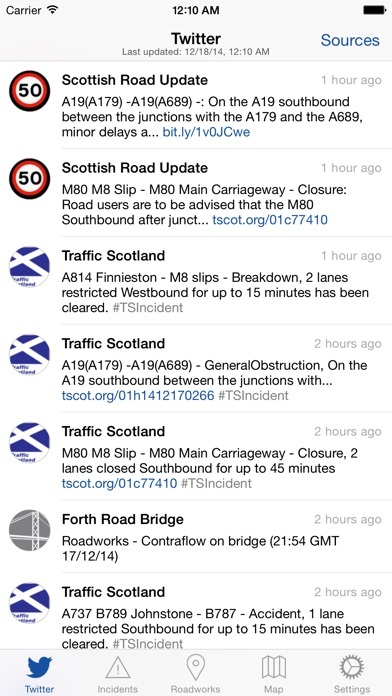 View real-time traffic and travel news, taken from selected Twitter sources and the Traffic Scotland website. Designed for iOS 8 with full offline support and background updates. We provide a curated list of Twitter sources to choose from, allowing you to keep your Twitter timeline free from clutter and travel news when you don’t need it. 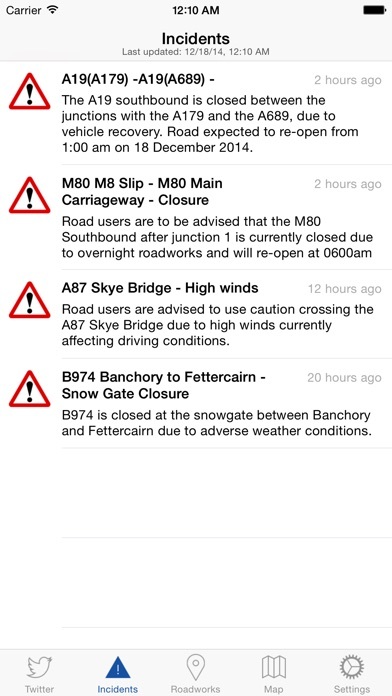 All sources and Tweets are built into the app. There’s no need to follow anyone and you don’t even need a Twitter account. 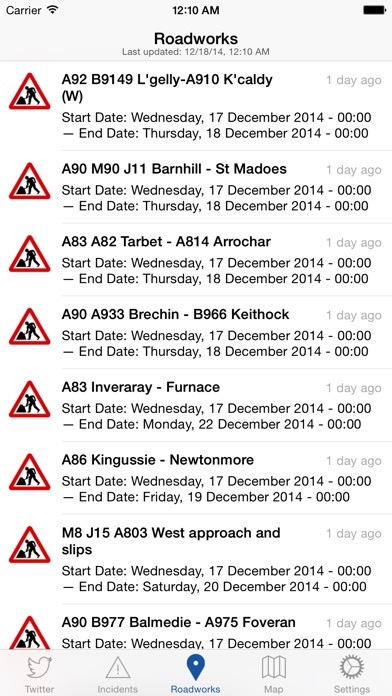 Live incidents and roadwork reports are taken from the Traffic Scotland website and stored locally within the app. There’s no need to load any websites and the information is available even when you have no signal. 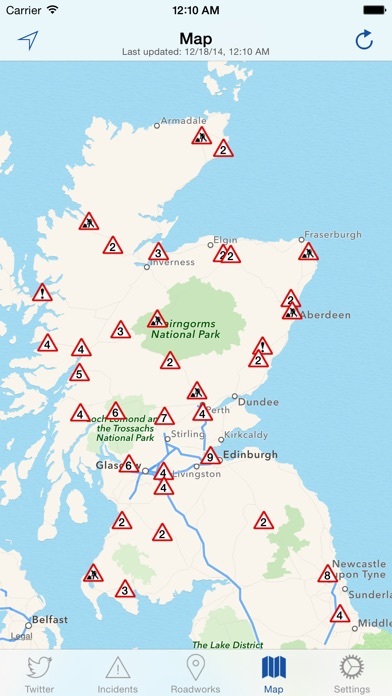 A fully interactive map view allows you to view any potential incidents and roadworks along your chosen route. 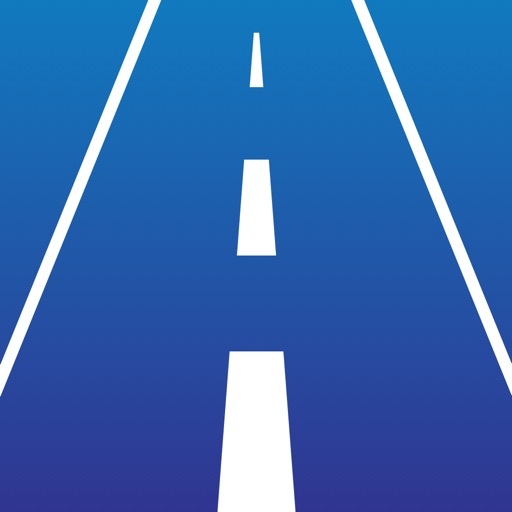 Enabling the 'Update While Travelling' feature will keep the latest information at your fingertips and make Traffic Scotland the perfect companion for your car dashboard. Thanks to full offline support, the app will update itself at regular intervals in the background, ensuring that the latest information is always available to you exactly when you need it. 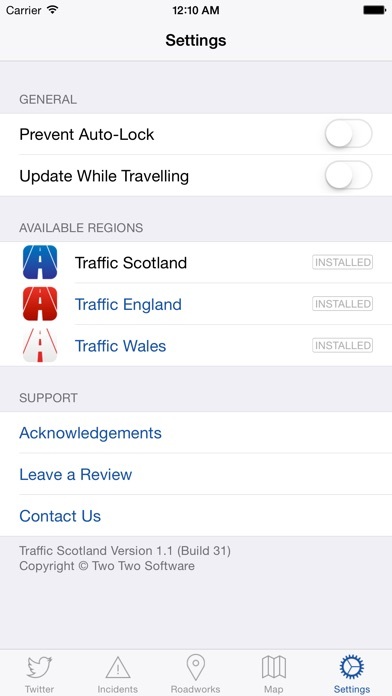 This optional feature uses your location changes to update the app as you move. If you keep your device on your dashboard, this allows you to have the latest information available at all times during your journey. Please note that although every effort has been made to minimise power consumption, using this feature can dramatically decrease battery life.